This is a replacement Schelle Racing 22 Series MIP Bi-Metal Pro Built Differential. 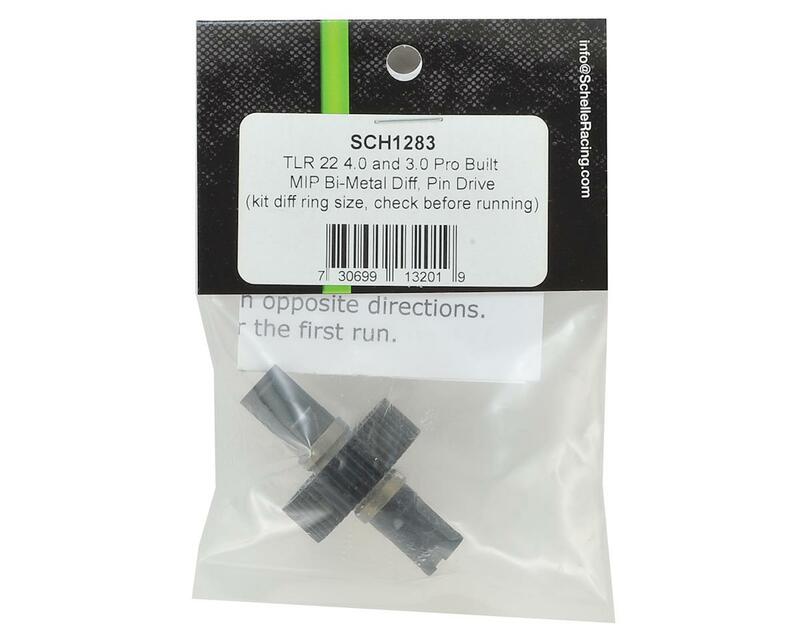 The Schelle TLR 22 Bi-Metal Pro Built diff uses the best parts on the planet from Schelle, MIP, and Team Associated. Built like the pros run, this diff uses Schelle 3/32" Tungsten Carbide diff balls along with a caged ceramic thrust bearing for buttery smooth diff action. The Bi-Metal diffs weigh in at 24.6g versus 30.6g for a kit steel outdrive diff. Whether you need to replace a gear diff with a ball diff, or your diff outdrives are worn and chipped, get a Schelle Pro Built. 6 grams (30% lighter) MIP Bi-Metal 2-piece outdrives with Aluminum main hubs. Increased acceleration for 17.5 Racing! Hardened Steel Pin drive cups work with kit bones on TLR 22 series. Kit sized diff rings for compatible with kit TLR rings. Built to Pro standards in a clean environment with all parts cleaned and prepped. Buttery smooth action and long life from Schelle Tungsten Carbide balls, ceramic caged thrust, and diff bearings. 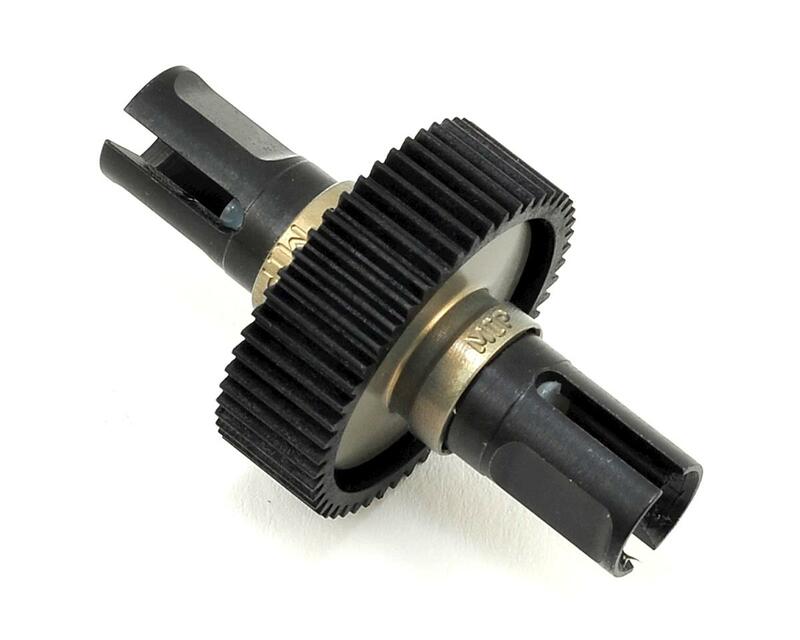 Uses geniune TLR diff gear, MIP rings, and Associated screw/T-nut assembly. Broken in using drill to seat parts and pre-groove the diff rings. Set and install; Schelle stores the diffs loose to prevent damaging the rings. Fits all TLR 22 series 3.0 and 4.0, uses kit "pin drive" bones. Pro Built by Kurt "Coach" Wenger of Schelle.